Fancy A Free Delivery Of Aperol Spritz? Summer’s a gazillion miles away, but at least by knocking back an Aperol spritz or two, you can magic yourself to a grimy Peckham car park in mid-July. Even better when said orange elixir is free, and couriered to your door by an Italian bartender in an Ape Van. 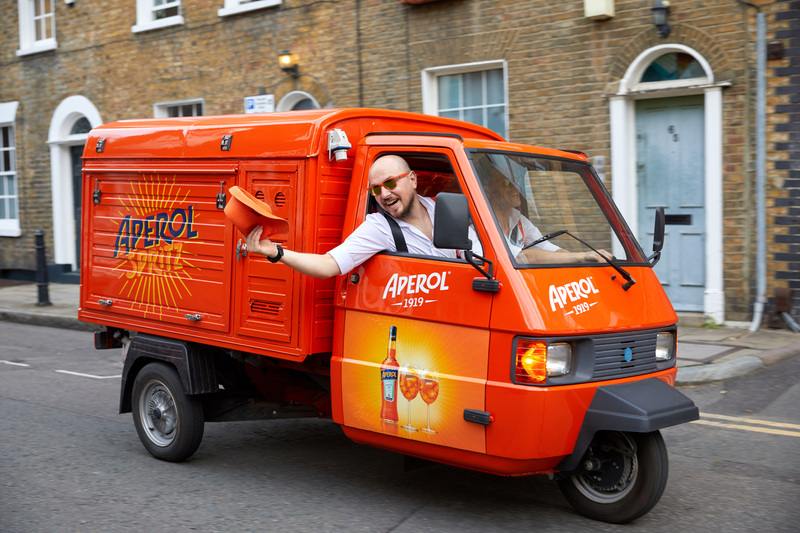 The hip Italian brand is putting on another (atrociously-named) ‘Aperol-ivery’ service, this time to help combat the miseries of ‘Blue Monday’. While we’re skeptical that Blue Monday actually exists, we’re absolutely up for the concept of an Orange Monday. 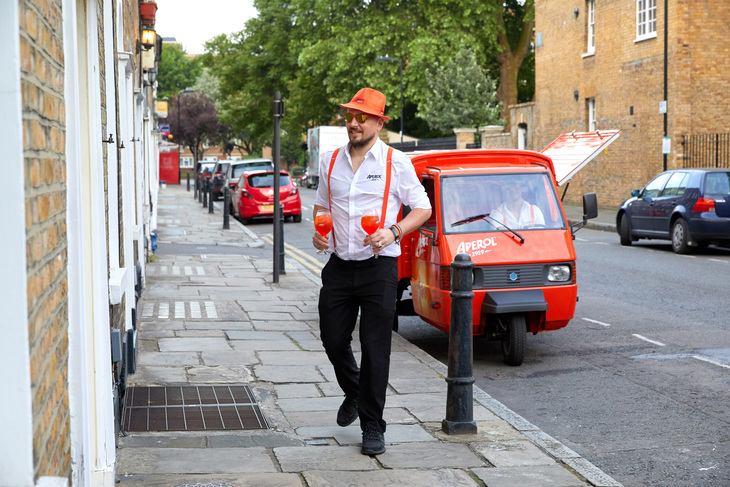 So then — fancy an orange-hatted stranger rocking up at your door with a couple of freshly mixed Aperol spritzes on Monday 21 or Tuesday 22 January? Enter your details here, and it might just happen. Salute!